So now that I’ve done the real year in review, it’s time to explore what many people consider the best part of the United international experience. Given just how much below industry standards United’s food and drink generally are, people often wonder if it’s worth it. 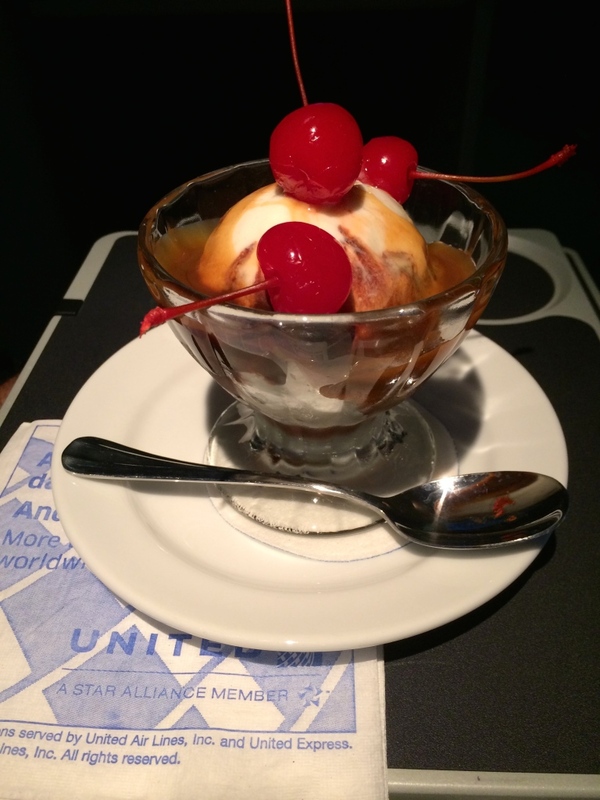 Lots of folks think the best part of the United international experience is the ice cream sundae cart. Is it anything special? Absolutely not. But hey, who doesn’t like ice cream? 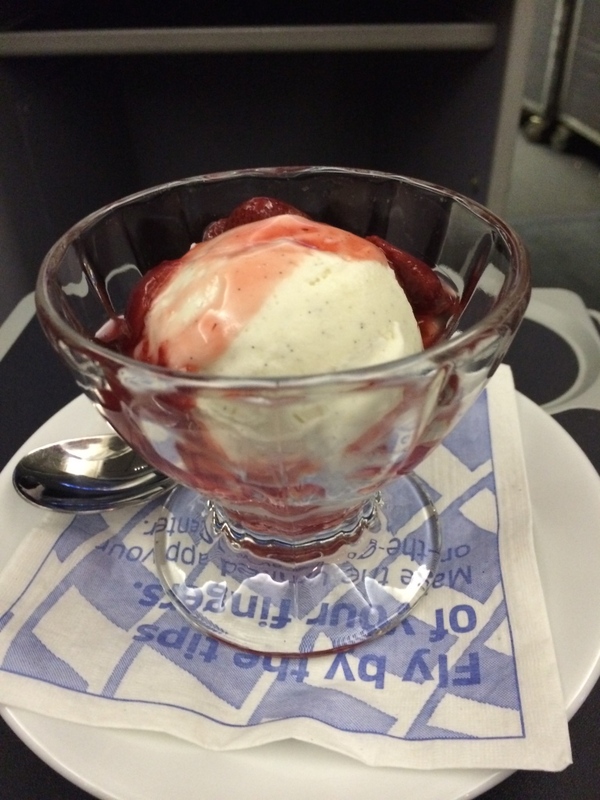 So, I present, the 2014 United Airlines Ice Cream Year in Review! 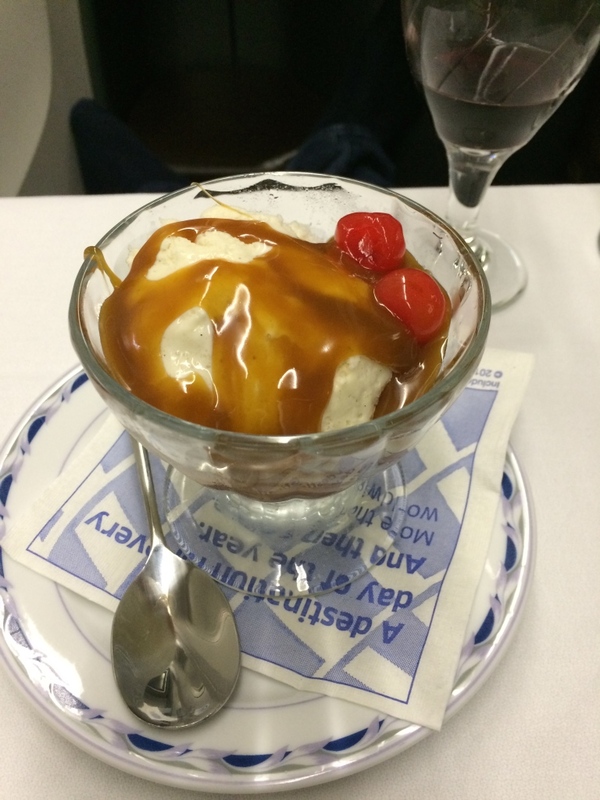 January – Lisbon, Portugal to Newark. 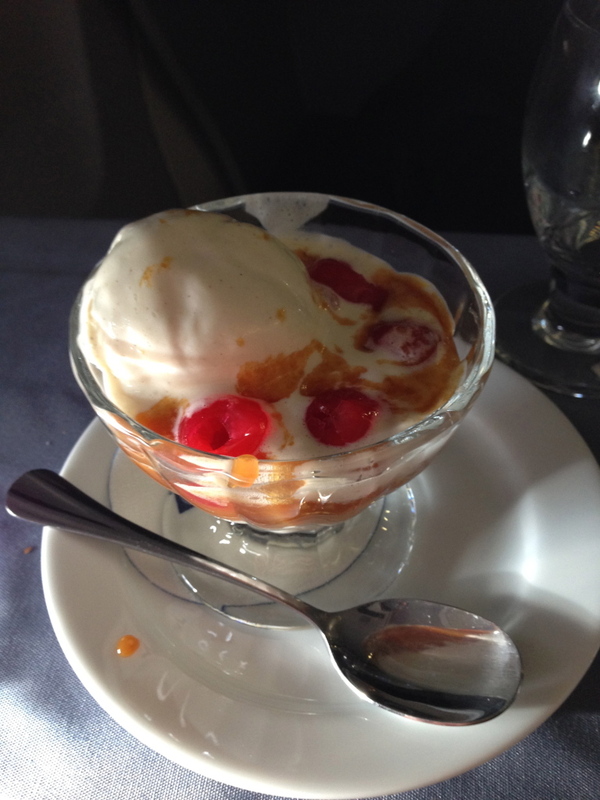 This was ice cream soup with a bit of caramel and a few drowning cherries. Really rather sad. The crew even stole all the stems from the cherries. February – Houston to Honolulu – this was an odd one. The ice cream was rock hard, but part of it was completely soupy. Caramel again. 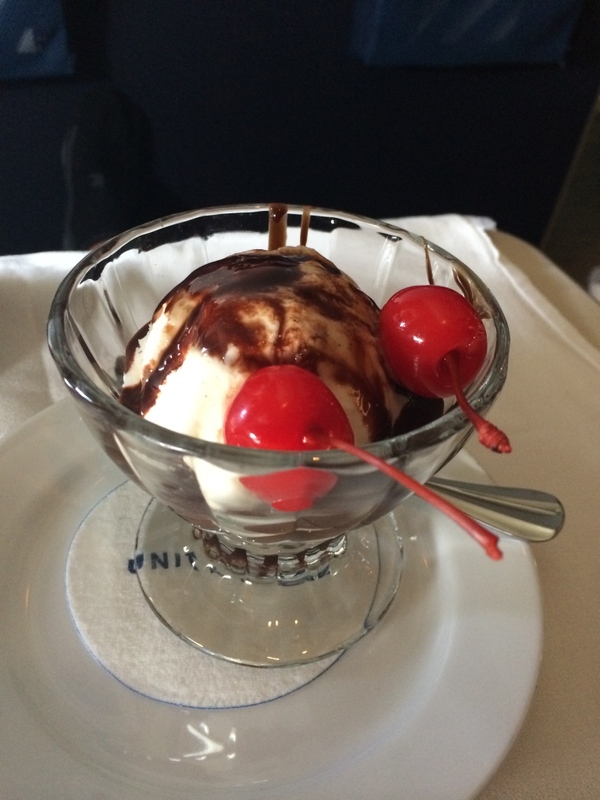 August – San Francisco to Honolulu – alert Jeff, we’re missing a cherry! Only two today, but for some reason I decided variety is the spice of life and switched to hot fudge instead. 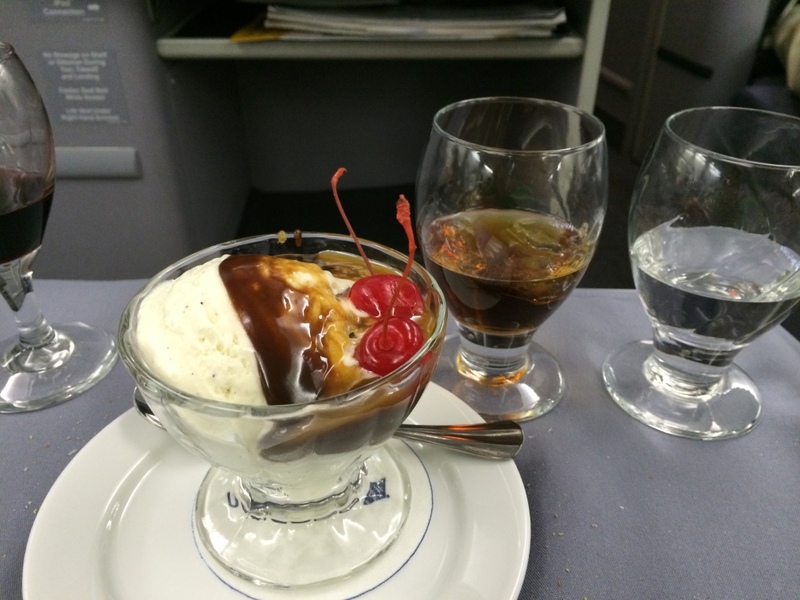 August – Honolulu to Washington Dulles. Whew. Back to three cherries and caramel. I was getting concerned. 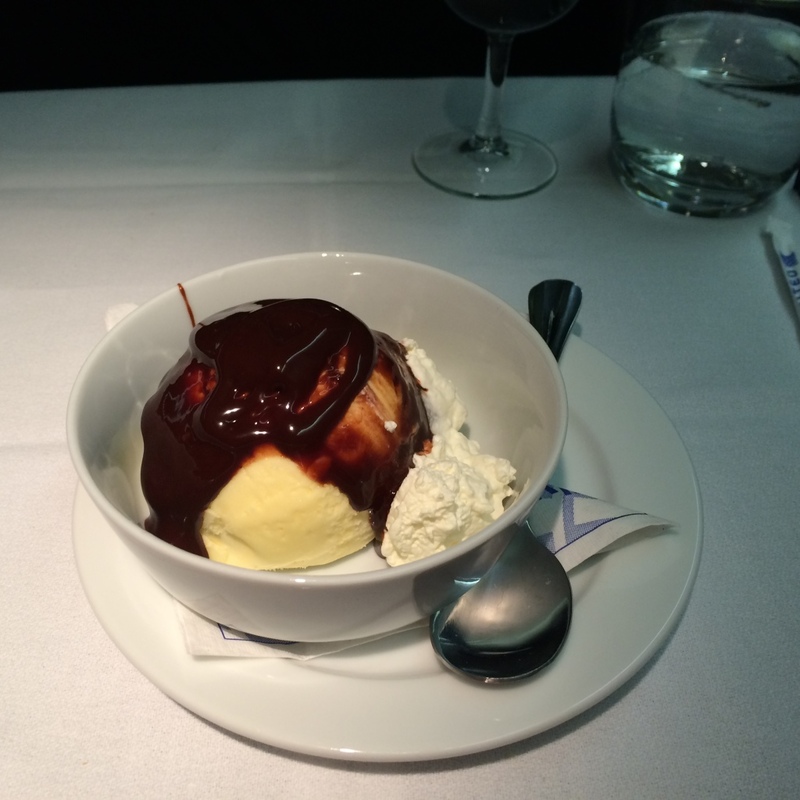 August – Washington Dulles to Paris – whoah, what’s this. 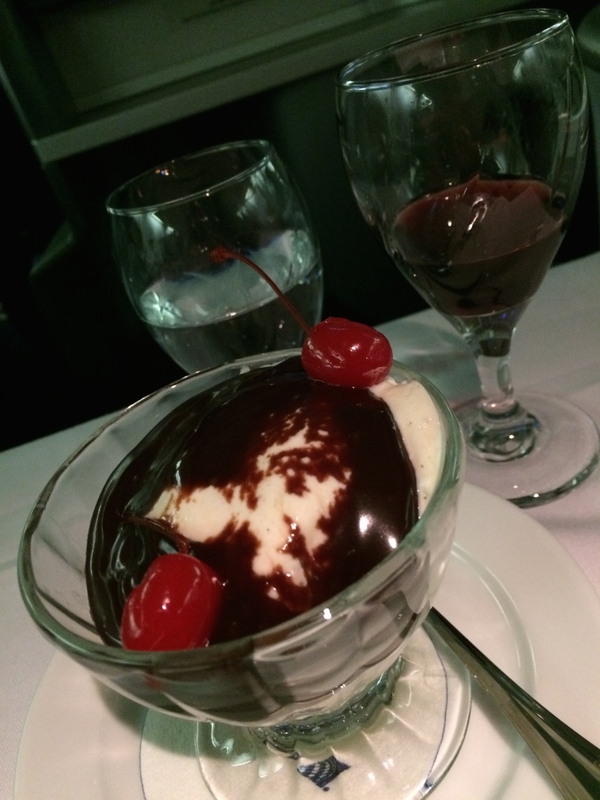 Caramel AND chocolate…and only two cherries. Yet, much of the ice cream has no topping at all! 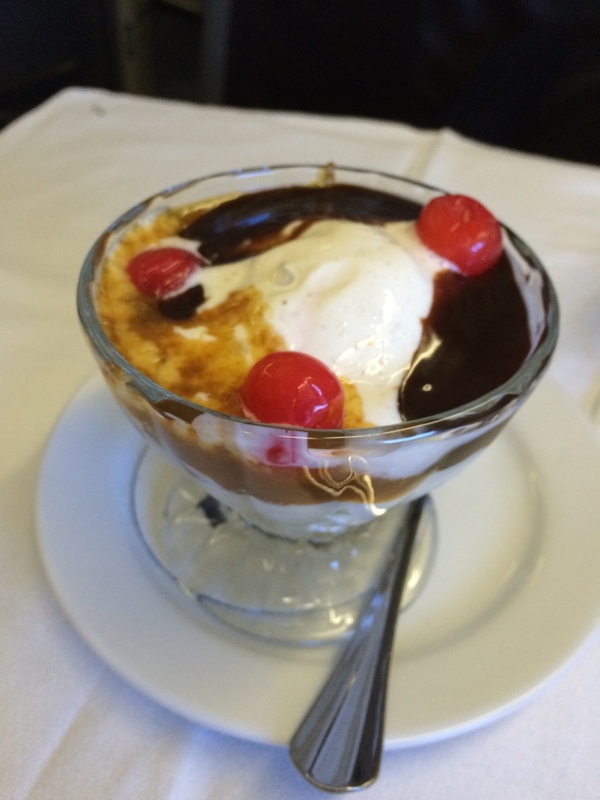 August – Paris to San Francisco – swimming in a sea of caramel and chocolate is one lonely cherry. Apparently there’s a cherry shortage in Paris. 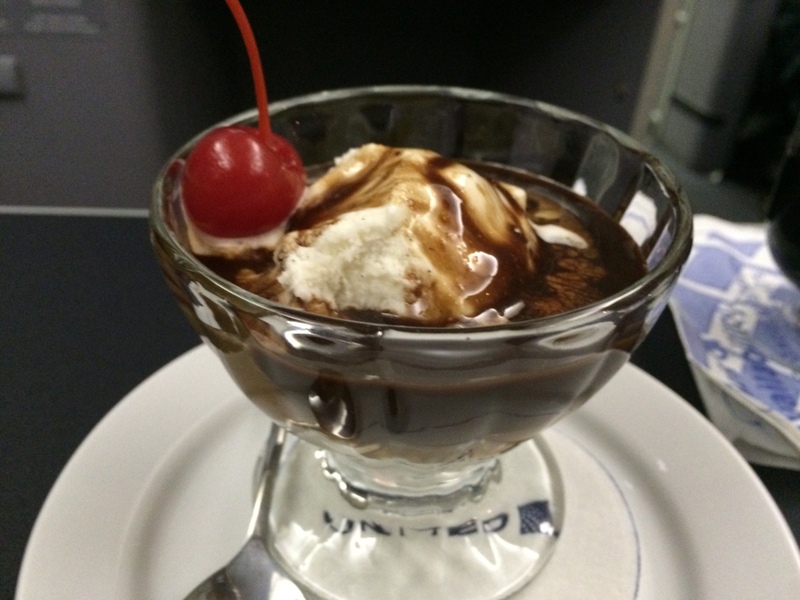 August – San Francisco to Honolulu – just chocolate…and one cherry. The Shortage might be a San Francisco thing. Lots of chocolate, but very little ice cream. August – San Francisco to Honolulu – same flight, but I decided to experiment. I’ve never had the strawberry topping, so decided to see what it was about. Apparently not about cherries, because there were none in sight. 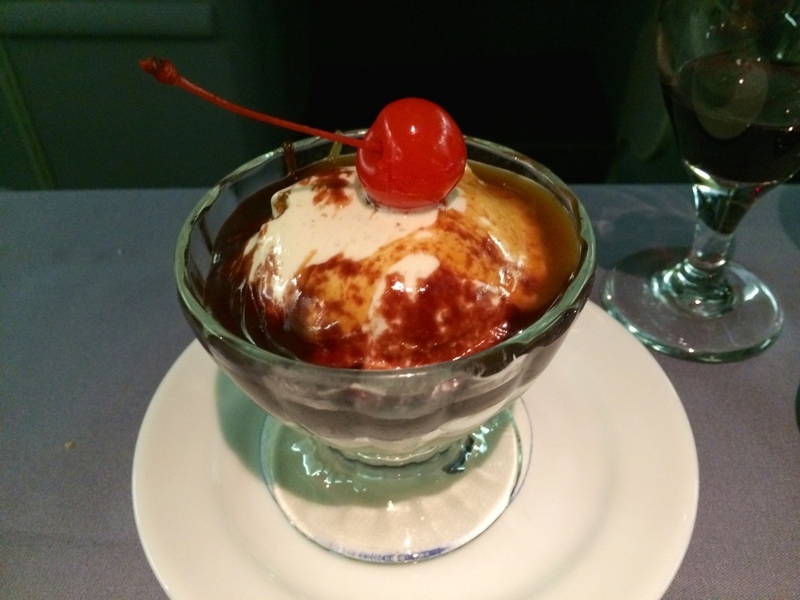 November – Frankfurt to Dulles – ice cream soup again…caramel and chocolate, but segregation was in full effect, plus the three neutered cherries. November – Newark to Tel Aviv – whoah, seriously? I struggle all year to get my three cherries I’m due on my sundaes and then you go all wild and give me 10? 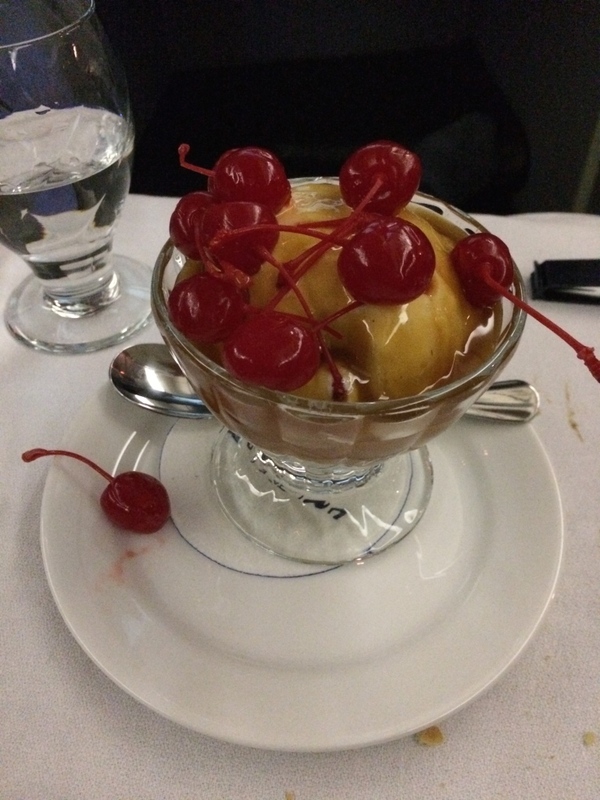 I mean come on…that’s a lot of caramel and cherries! 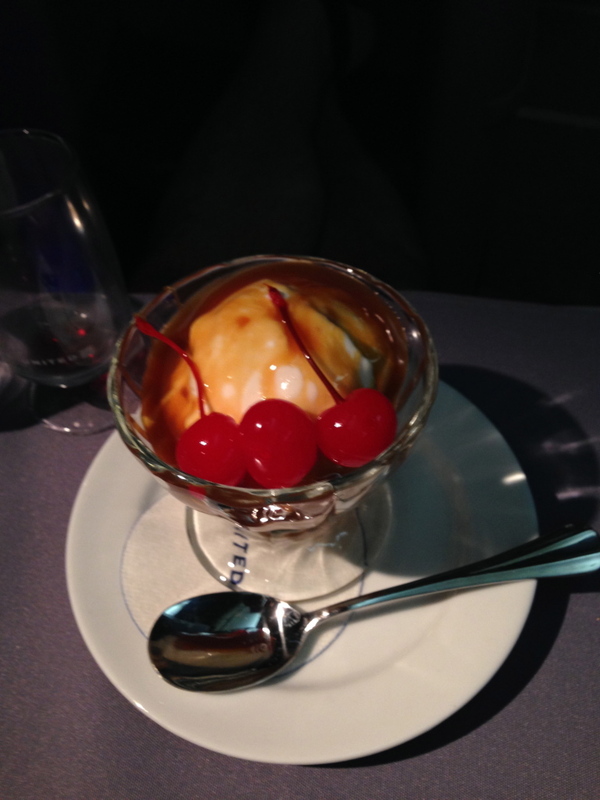 December – Zurich to Newark – four cherries and caramel. I have a theory. It’s year-end. 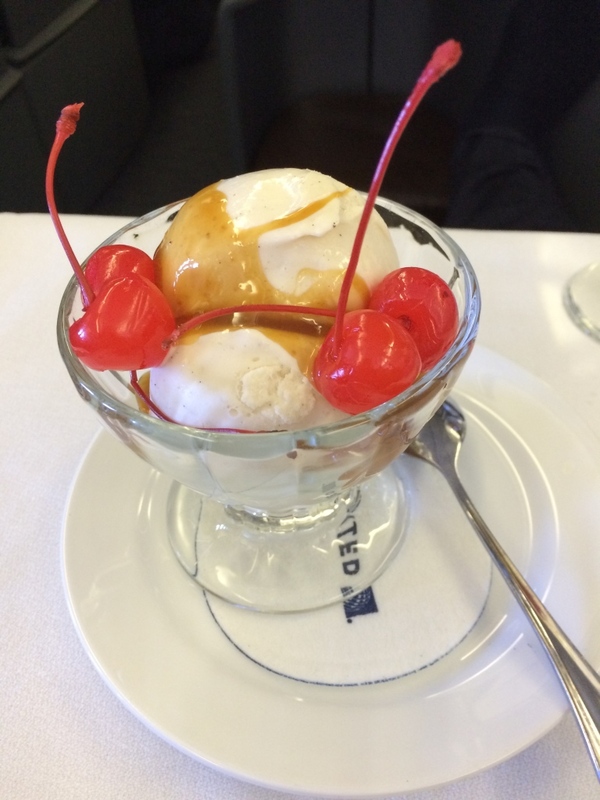 United bought too many cherries and is now desperately trying to get rid of them. December – Dulles to Amsterdam – well that was short-lived. Back to chocolate and only two cherries. So disappointing. 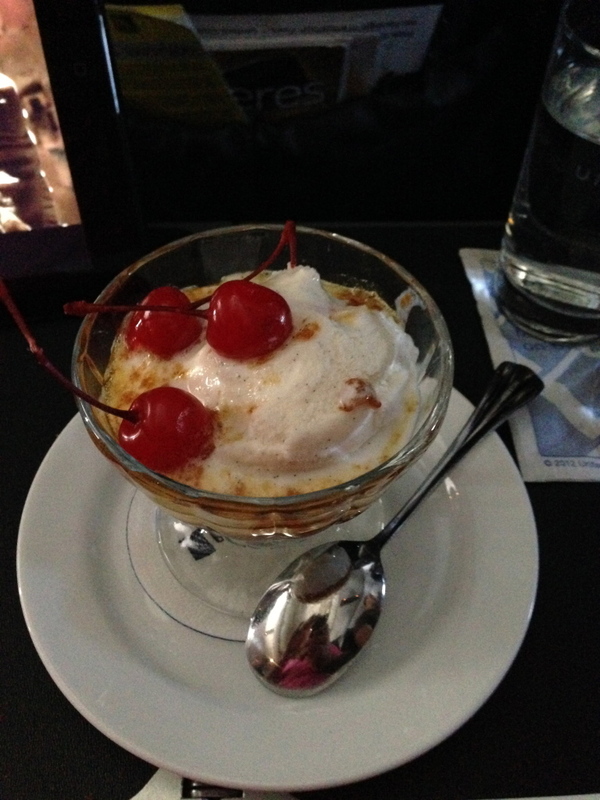 December – Frankfurt to Dulles – if it’s December, it much be two cherries. 2014 summary: I ate lots of ice cream. I got fat. It was anywhere from soupy to rock hard. I tend to switch from caramel to chocolate, but occasionally go wild and have some strawberries. What does it all mean? Who’s to say…there was the one-off intrusion of whipped cream, but fortunately the nuts stayed away. That would have been problems. Asking for “cherries” yields three most often, and sometimes two. Once in a wild, they go nuts and throw the whole mess on there. It’s really hard to say.